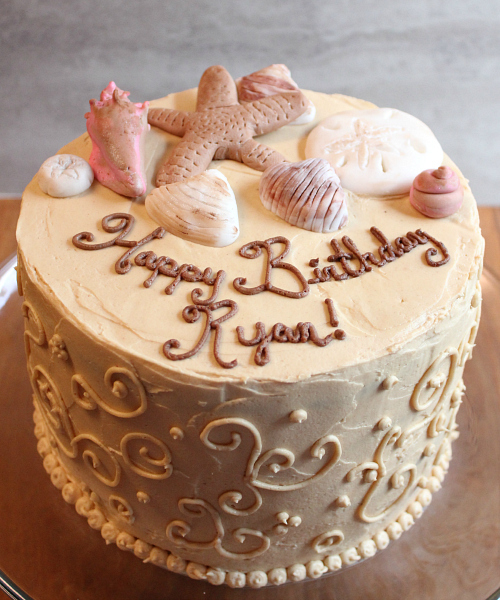 for ryan's seashore themed birthday party over the weekend, we made a checkerboard cake. we carefully separated the three circles from each layer of cake, and then we put them back together alternating the chocolate and the peanut butter. the cut-out circles fit together perfectly. we stacked the layers on top of each other, alternating colors. then, we put a thin layer of peanut butter frosting between each layer and covered the entire cake with the peanut butter frosting. the peanut butter frosting was perfect for this cake because it looked like the color of sand. we decorated the top of the cake with seashells that ryan made out of fondant to go with the theme of his birthday party. after we cut into the cake and reveled that it was a checkerboard cake, my mom told us that she has a checkerboard cake pan set at home. (now you tell us!) we look forward to trying my mom's cake pan set to see how it works. 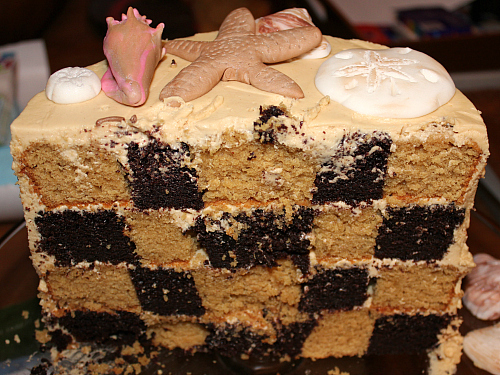 this was our first attempt making a checkerboard cake, and we can't wait to try it again. however, the next time we make a checkerboard cake, there are two things that we will do different. 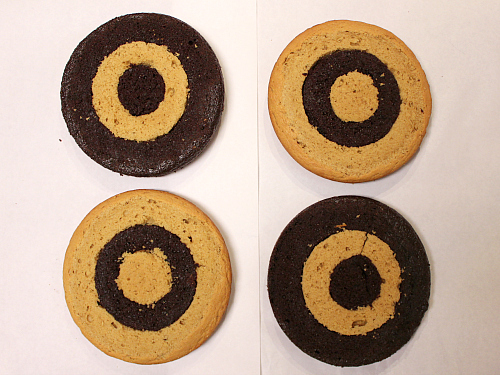 second, we will put a thin layer of frosting inside of each cut-out circle in order to hold the the circles together better when cutting the cake. 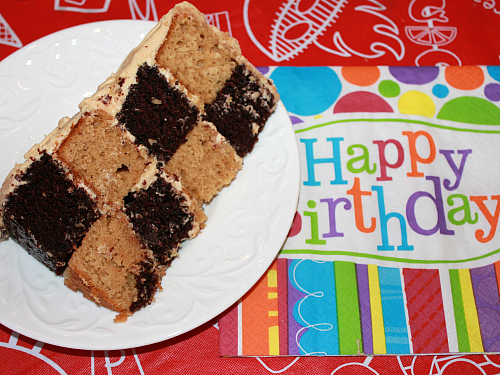 have you ever made a checkerboard cake? if so, i'd love to hear how it went! That sure was a lot of work doing it by hand. I will have to give you my checkerboard pans. Just in case you ever want to make another one someday. 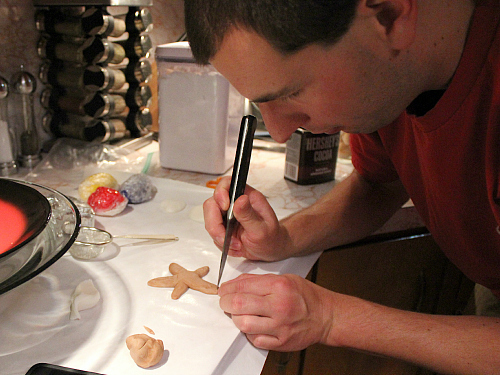 I was wondering how you got the circles to work together; now I know, although it still took a lot of patience, as did the seashells! The end result was beautiful and yummy!